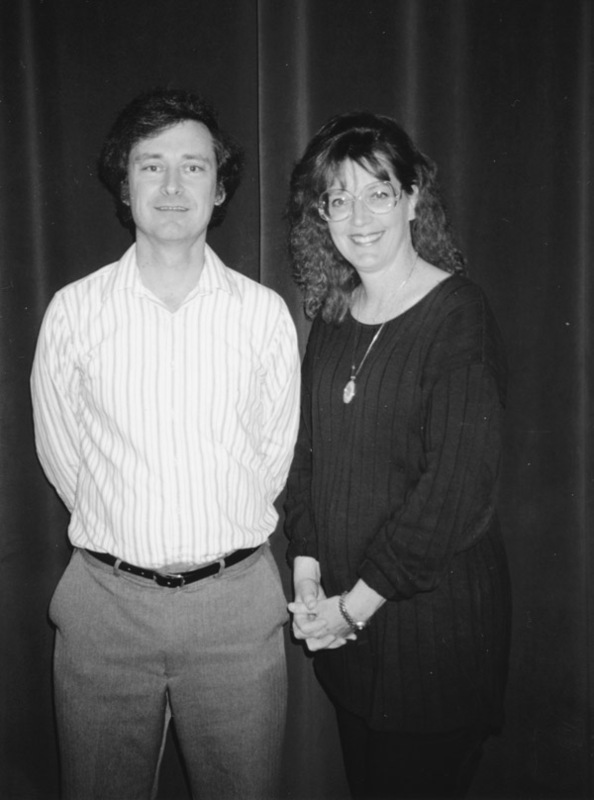 Jeff Stevens (left) and Sharon McCollum (right) at the 1992 Volunteer of the Year dinner. The Volunteers of the Year for 1992 are Jeff Stevens and Sharon McCollum. 1992 is the only year when the Volunteer of the Year award was given jointly to two people.